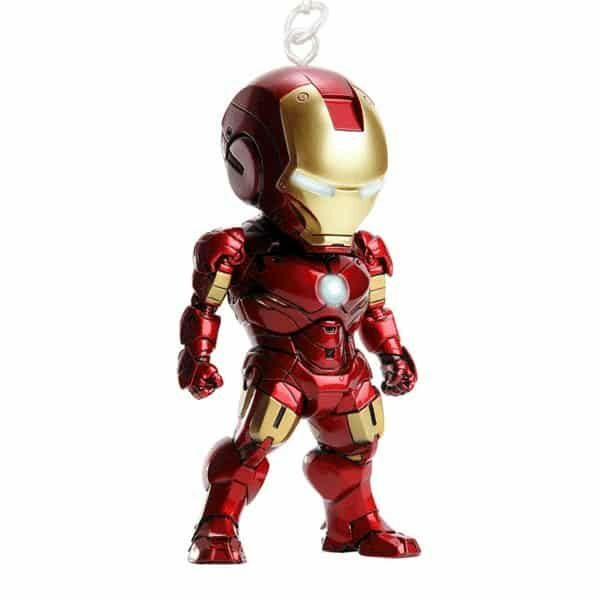 The mini Iron Man toy figure keychain is made up of soft PVC material which does not harm paint on your cars / motorcycles / doors. The figure is highly detailed for its size. Each mini Iron Man toy figure keychain is hand painted and unique. Iron man head and hands can rotate for a quick action pose. The Mark IV (Mark 4) was the fourth Iron Man Armor designed and created by Tony Stark as the successor to older Mark III model. The armor differs only slightly from it’s predecessor, with only cosmetic changes to the armor plating, and a few changes in the capabilities of the armor itself.